We can be contacted by phone at (202) 994-6075 or by email at [email protected]. 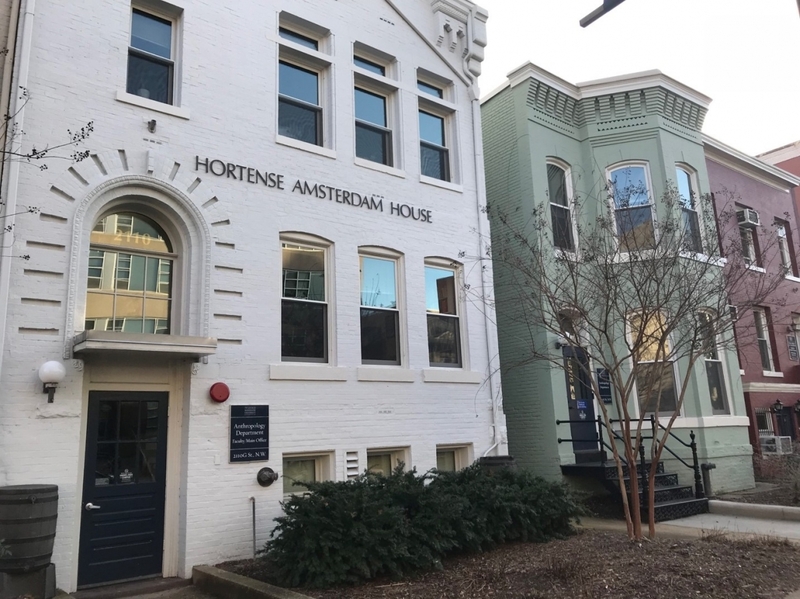 The Anthropology Department main office, the departmental seminar room, the TA office, Anthropological Quarterly, and some faculty offices, are located in the Hortense Amsterdam House, 2110 G Street. Building X, at 2112 G Street, houses faculty offices and the Slave Wrecks Project. 2114 G Street houses doctoral student offices and an archaeology laboratory. Offices and laboratories of biological anthropology faculty are on the 6th floor of the Science and Engineering Hall, 800 22nd St., NW.